Have you got any cleaning issues? Do you wish someone could help you? No worries. 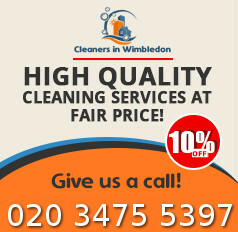 Check out our cleaning services in SW19 Wimbledon and pick a package of your choice. We offer a wide variety of packages for every cleaning need. You can certainly help with your carpet cleaning, oven cleaning, end of tenancy cleaning, domestic cleaning, and much more. Our cleaners are trained in different types of cleaning and they have proper know-how and expertise. You can count on our services no matter what. We are at your disposal all week long. If interested, get in touch with us. 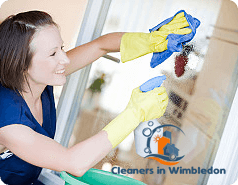 Whether you are just looking for ongoing cleaning services in SW19 Wimbledon or you need one off sessions for those times when you can’t deal with cleaning yourself, you can rely on us. We are here to help. For a clean and tidy home, use our domestic cleaning packages. We offer an ongoing service that can be provided as many times as you want and as often as you need, say twice a week or every Friday. If there is more stubborn dirt and you don’t think that an ordinary cleaning will work, use our deep cleaning package. It is a one off service and there is no need to use it regularly. We recommend you go for it once a year. If you live in lodgings and you need a more detailed clean before you vacate, use our end of tenancy cleaning package in SW19. We will clean every hard-to-reach area, crevice, hole and nook to perfection to prepare your rented flat or house for new tenure. If you notice dirt patches on your carpet or sofa, or if you just want to refresh them, use our in-home carpet or sofa cleaning packages. We operate with powerful cleaning machines and professional cleaning solutions that remove stains, debris, dirt, pet hair and grime. That’s not everything we have on offer. 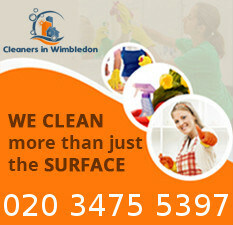 If you want to know more about our cleaning services in Wimbledon London, give us a ring right away. Wimbledon is part of London borough of Merton. The area is considered as one of the most famous areas all over London and within the next couple of lines you will realize why is this is. We guess that you have heard the name Wimbledon at least once and if your answer is positive, then the reason for this should definitely be the fact that every year the best tennis players from all over the world gather there in order to win tone of the most valued trophies in the world of tennis. But when it comes to sports, Wimbledon is famous not only with the tennis tournament, but with its local football club as well – even though it is not that good it still has plenty of fans. The area offers lots of sightseeing and landmarks, so you should definitely go and check it out. Copyright © 2015 Cleaners in Wimbledon. All Rights Reserved.